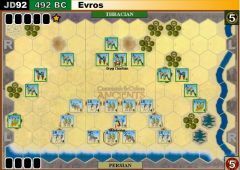 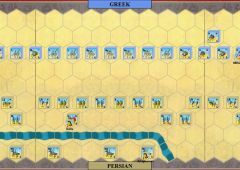 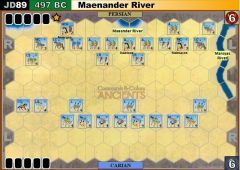 After the hard-fought defeat against the Persians at the Marsyas River, the Carian army regrouped the following spring near the sacred shrine of the double-axe wielding Zeus of Hosts in Labraunda. 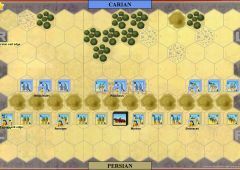 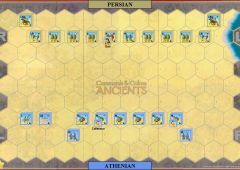 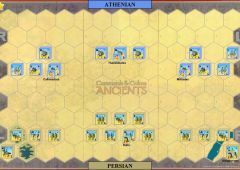 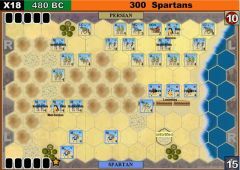 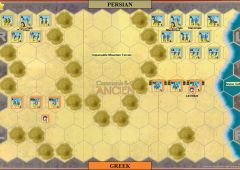 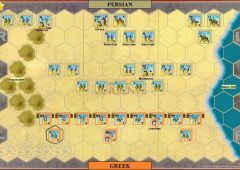 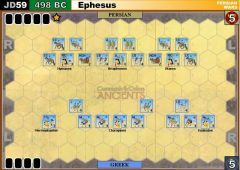 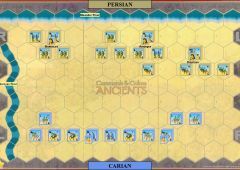 Deliberating whether or not to continue their revolt against the Persian Empire, the Carians decided to stand and fight when joined there by Milesian and other Ionian components. 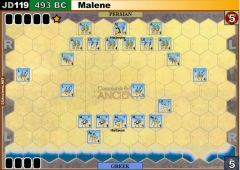 The battle at Labraunda proved to be an even worse defeat than Marsyas, with the Milesians suffering the “greatest losses of all” according to Herodotus. 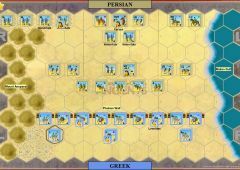 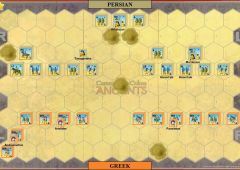 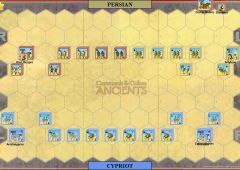 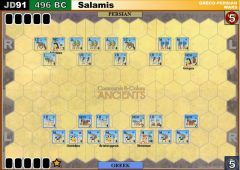 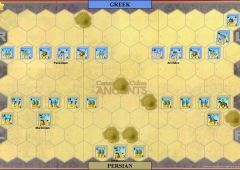 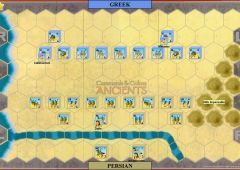 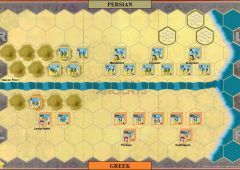 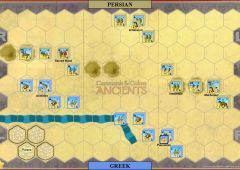 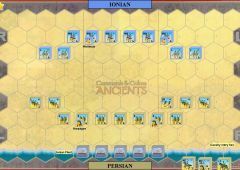 Due to the fact: a) Greek-style lines commonly assigned the “position of honor” to the right wing; b)The Milesians took the heaviest losses; c) The Carians, on their home ground, probably occupied the right wing; therefore, the Persians most likely broke through the left wing during this Persian victory. 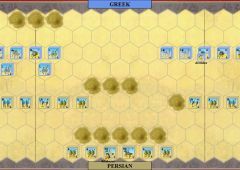 Persian success over Ionian Greek hoplites, such as those at Cyprian Salamis, Marsyas, and Labraunda, emboldened Darius to confidently undertake his ill-fated invasion of Greece in 490 BCE. 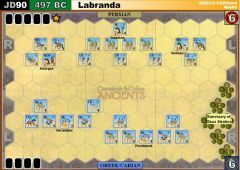 The Shrine of Labraunda has the same rules as a fortified camp. 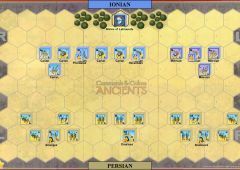 Any Carian unit on the shrine hex battles with one extra die. 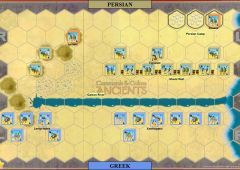 The Persian player gains one Victory Banner for entering the sacred Shrine of Labraunda hex. 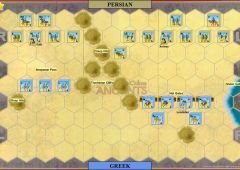 The banner remains until the end of the game.